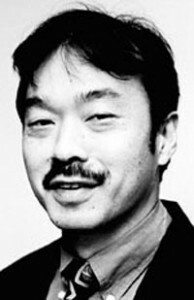 Since Feb. 26, 1992, I had alternated with George Johnston writing this column about Asian Americans and the media. For 24 ½ years, I never missed a single deadline. And I took great pride in that. Through my work in Media Action Network for Asian Americans (which started in April of 1992), I pushed for better portrayals of our community, and I became a trusted source in the mainstream press on various issues. Between MANAA and this column, I was able to educate the non-Asian population about issues like stereotyping and white-washing, which led many of them to follow those issues on Rafu.com. After the passing of “Horse” Yoshinaga last year, I became the paper’s longest-running uninterrupted columnist (Johnston quit for a couple weeks in between). That ended after turning in my last article on July 27 in which I ran two emails from people — including George Takei — who agreed with my previous column that The Rafu should do more in-depth coverage of issues. Although the article was posted online at Rafu.com, it was never printed. I felt it was constructive. Some staffers disagreed. For various reasons, it took almost two months to have a meeting to discuss this, which finally happened on Monday. Having resolved most of our differences, we’re moving on, and I’ll once again offer my biweekly musings until the end of the year. I want to thank the many people who offered me support and advice during this trying time, including half a dozen lawyers, secret sources, and those who wrote or made calls on my behalf: NCRR’s Kathy Nishimoto-Masaoka, Dale Minami, fellow columnist Phil Shigekuni, David Osako, and MANAA, especially Alieesa Badresia and Rob Chan, who joined me in the meeting with the staff, Mijean Song, and Miriam Nakamura-Quan. OK, now, let’s try to play catch-up. “Better Late Than Never” (from left): Shatner, Bradshaw, Dye, Winkler and Foreman. 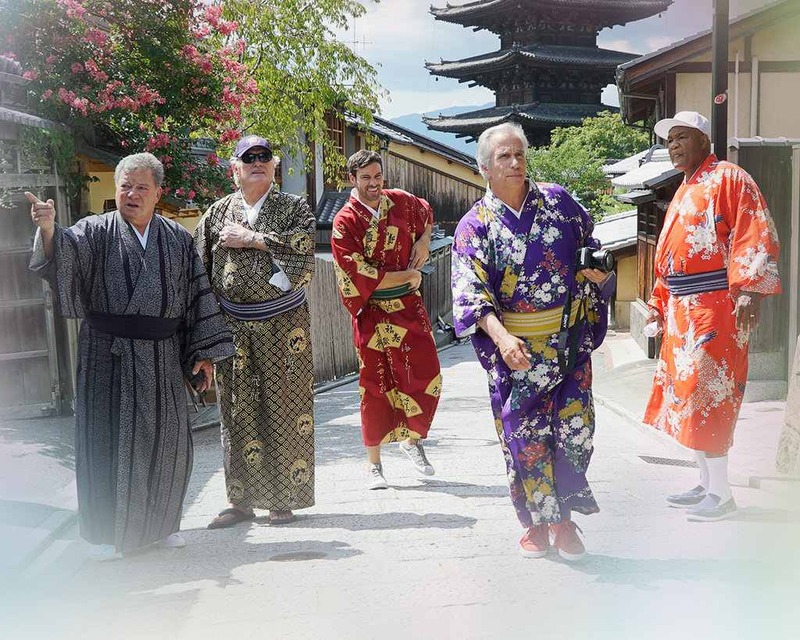 “Better Late Than Never” Department: NBC’s four-week summer series featured William Shatner, Henry Winkler, Terry Bradshaw, George Foreman, and sidekick Jeff Dye visiting six cities and four Asian countries — Japan, South Korea, Thailand, Hong Kong — experiencing the extremes of food and culture with Southern-born Bradshaw playing the embarrassing drunk uncle who’s loud and makes fun of anything he’s not accustomed to. Despite having four icons, the producers never showed us footage of the men in their prime. And the quick editing of their five-week journeys to these fascinating places added to its superficial feel. Winkler (“The Fonz” on “Happy Days”) told the press that while in Thailand, he talked to an elephant and began to cry. Why was that never shown in the show itself? And funny how despite bonding over seeing and experiencing exotic places and customs together, the five never seemed to make any significant connection with any human being there. The series did better than expected, so it’s been renewed for another summer. God help whatever new countries they fumble into then. Better Late Than Never II Department: As I wrote in a previous column, after reading George Takei’s Hollywood Reporter interview about why he wasn’t pleased that Sulu would be gay in the “Star Trek” movie series, I still had unanswered questions. While The L.A. Times and other mainstream outlets were satisfied to run his Facebook response, your “roving reporter” here wasn’t, so he asked the actor more specific questions. So, it’s still a scoop! Q: Like many people, I was surprised that you weren’t “tickled” that [director]Justin Lin and company wanted to pay tribute to your real-life activism speaking out for gay rights by making Sulu gay in the upcoming “Star Trek” movie. You said Gene Roddenberry conceived of Sulu as heterosexual when he created him back in 1966 and he should therefore remain that way especially in honor of the upcoming 50tn anniversary of the TV series. But back in 1966 there couldn’t have been a gay character on television. And you weren’t out as a gay man. If all things had been equal (e.g., how gays are accepted today in society and as characters in TV and film), do you think you would’ve wanted Sulu to be gay back in 1966 as a way of portraying a positive character who just happened to be gay? A: As I said to you, it isn’t about “honoring” me or Sulu. The 50th anniversary of Star Trek should honor the man who made it possible – Gene Roddenberry. I discussed dealing with the LGBT issue with him then in the ’60s and he agreed it was an important issue that he supported but because of the times, and his desire to keep the show on, he couldn’t. I understood and respected him. He created Sulu as heterosexual because of the times. Now, with a changed society, we have that opportunity. To your “iffy” question, Gene would have seized this opportunity and created a whole, fleshed-out character with his own history. I urged Justin to be as bold as Gene would have been if he were alive today and truly pay tribute to him with an original, gay character. That would really honor him. What happened in the film cannot be called bold by any means or by anyone. Q: In the rebooted “Star Trek” movies (from 2009 on), the cast is not exactly the same as they were in the ’66-’69 TV series because in the first film, a villain went back in time and created a new timeline/reality, freeing up the producers to not have to adhere to what was established in that original series. So their contention is that in this new reality, Sulu has always been gay and never been closeted (in your talk with John Cho you assumed if they made Sulu gay now, that meant he’d been closeted and you wanted a gay character who’d always been gay and comfortable with that). Does that change your feelings at all about his sexual orientation in the new film? A: Then why are all the other characters as we were in the original? I suspect they chose Sulu because the actor who played him in the original is gay. That’s lazy writing. Q: At Roddenberry’s pool party in 1968, what specifically did you ask him to portray on the television show regarding gay characters? A: On the original series, we addressed many current issues (civil rights, Vietnam War, the Cold War, etc. ), metaphorically using science fiction. I suggested dealing with LGBT equality in the same fashion. We didn’t get specific in terms of which character or how to tell the story – simply dealing with the issue. Q: I take it the email dialogue you had with [actor/co-writer Simon] Pegg had been short because he just thanked you for being an advocate for the gay community but didn’t say, “We’re still making Sulu gay” and you didn’t question him about how they were proceeding with the Sulu character? A: His first email to me was an extensive and laudatory “fan mail” on my activism of the LGBT issue. I thought – how nice and flattering. It was not short. The second exchange with him was when I knew that my conversation with Justin had been fruitless and nothing could be done about it. The film was done. It was a discussion which ended with our agreement to “agree to disagree.” I wished him and the film well. It was not by any means acrimonious. Q: In the L.A. Times interview with Justin Lin, John Cho and Zoe Saldana [Uhura], Lin says when he spoke to you on the phone last year, you said you’d told Roddenberry back then, “I’d like to be able to play Sulu gay.” That sounds contradictory to what you’ve said in the Hollywood Reporter interview. Maybe he misunderstood you? A: That is completely new to me. I don’t know where Justin got that. Why in the world would I ask Gene back then when I myself was closeted that I would like to play Sulu gay? Justin is a very imaginative guy with his interviews. Q: Have there been further communications between you and people affiliated with the new “Star Trek” movie since your interview was published? A: None. And people like Zoe and Zachary [Quinto, who plays Spock] seem to be giving their own interpretation to my conversation with John, Justin and emails with Simon. The embroidery around the story gets more and more fantastical. As I said…it’s a tempest in a galactic teapot. Q: Have you seen any of the rebooted “Star Trek” movies (2009, 2013) and do you plan on seeing the current one, “Star Trek Beyond”? Why or why not? A: I have seen all of the rebooted films because I’m interested. I saw Sulu’s “big gay homecoming” scene. As Shakespeare said, “…full of sound and fury, signifying nothing.” That was it? And with this, I hope the whole hoo-haw will finally settle down. Preach! Department: Was so proud to see Alan Yang and Aziz Ansari win the Emmy for writing the “Parents” episode of “Master of None.” Yang’s speech was one of the most notable of the night, where he said there were just as many Italian Americans as Asian Americans, yet the former got tough-guy movies and the latter got Long Duk Dong. Some pointed out mob movies were nothing to be proud of, and maybe the writer/producer could’ve chosen better examples. But I think he was simply comparing them on the tough guy vs. wimpy guy level. 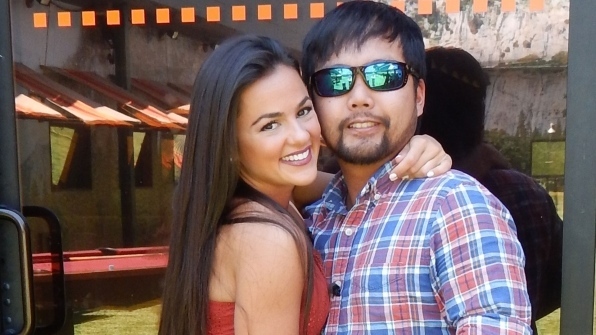 Channel Surfing Department: There were a lot of ups and downs in the “Big Brother” house this summer watching James Huling (Korean American) and his showmance partner Natalie Negrotti (Latina). At one point, while defending him, Natalie said he was the one who made her trust men again. She called James her soul mate and best friend and outside of her family and closest friends, the person who meant the most to her. But when both were put on the block and in danger of going home, the cheerleader started blaming James for his bad instincts and being betrayed by another couple, even saying she’d never talk to him again if he worked with them. The House, initially set on evicting the heartbroken James, felt so bad for him they voted out his girlfriend instead! Before being booted, though, she came to her senses and was back to thinking the best of James. Our boy went on to play a terrible game but by luck managed to come in third place last week, better than he did last year. The cute couple were clearly favorites of the audience, winning the first two care packages and in CBS’ poll came in second and third place for favorite houseguests. Despite James living in Texas and Natalie being based in the New York/New Jersey area, they’re hoping to date each other. Jamie Chung plays nosy reporter Valerie Vale on “Gotham” (Fox, Mondays at 8 p.m.), set up to be a love interest for the future Commissioner Gordon. Both Maggie Q and Kal Penn are regulars on ABC’s much-anticipated “Designated Survivor” starring Keifer Sutherland (Wednesday, 10 p.m.), playing respectively, an FBI agent investigating the murder of the president and every member of Congress and a White House speech writer.